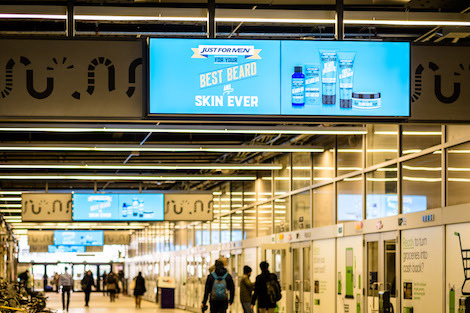 Branded Cities has brought to life a digital Out-of-Home campaign for Just For Men beard care products. 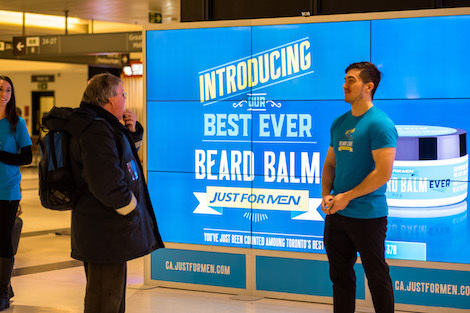 The campaign takes place in Canada’s busiest building, Union Station and is a first-of-its-kind installation, integrating facial-hair-recognition camera technology into an interactive digital board. 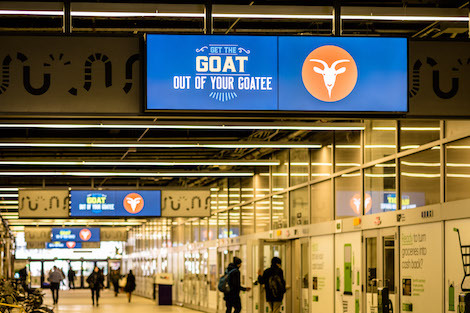 This entry was posted on Thursday, April 5th, 2018 at 14:07 @630 and is filed under Scuttlebut. You can follow any responses to this entry through the RSS 2.0 feed. You can leave a response, or trackback from your own site.